Diana L. Burley, GW professor of human and organizational learning, has been appointed to the 2012 JCOTS Cyber Security Committee. JCOTS, created by the Virginia General Assembly in 1997, is the Virginia Joint Commission on Technology & Science. It is a permanent legislative commission charged with studying and promoting all aspects of technology and science in the Commonwealth of Virginia through sound public policies. The commission is made up of 12 legislators from the Virginia General Assembly (7 delegates and 5 senators), as well as advisors with in-depth knowledge of committee assignments. The JCOTS sub-committee members meet to study issues requested by government agencies and the public, or identified by the General Assembly or by the commission itself. They work with the end goal of issuing a final report with recommendations. This work usually culminates in legislative proposals being introduced during the session. The 2012 JCOTS Cyber Security Committee is chaired by Delegate Tom Rust (R-Herndon). Dr. Burley has more than 10 years of experience raising awareness of the cyber security challenges facing the United States and working to increase the quality and quantity of cyber security professionals produced through higher education and workforce development programs. As associate professor of human and organizational learning at the university, she designs and evaluates cyber security degree programs, analyzes cyber security workforce development strategies, and promotes a holistic approach to building the cyber security workforce. She is a frequent contributor to national cyber security forums such as the National Initiative on Cyber Security Education (NICE) Workshop, the Federal Information Systems Security Educators’ Association (FISSEA) Conference, and the Department of Homeland Security’s Software Assurance Forum. She has also contributed to cyber security publications such as the IEEE Security & Privacy Magazine. Summit on Education in Secure Software (SESS) Organizer. A National Science Foundation-sponsored workshop to develop a national agenda on secure coding (a specific component of cyber security education). CSPRI Advisory Board and Senior Research Scientist. The GW Cyber Security Research and Policy Institute (CSPRI) promotes technical research and policy analysis of cyber security problems. CyberWatch Research Lead. CyberWatch is a multi-million dollar National Science Foundation-funded cyber security center designed to increase the quantity and quality of the cyber security workforce. Institute for Information Infrastructure Protection (I3P) GW Representative. I3P is a consortium of leading universities, national laboratories, and non-profit institutions dedicated to strengthening the US cyber infrastructure. National Cyber Security Education Council (NCEC) Advisory Board/Task Force 3 “To graduate cybersecurity professionals” Lead. NCEC is a public/private partnership designed to promote and implement national cyber security education programs. Additionally, prior to joining the GW faculty, she served as a program officer in the Directorate for Education and Human Resources at The National Science Foundation (NSF). At NSF, she managed multi-million dollar grant programs designed to increase the capacity of the U.S. higher education enterprise to produce professionals in scientific (specifically computer science, including cyber security) fields. She served as the lead program officer of the Federal Cyber Service Scholarship (Cyber Corps) program. 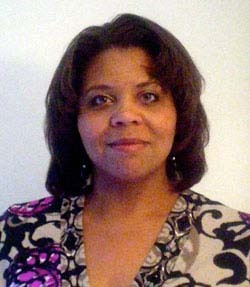 Based on her work with the Cyber Corps, Dr. Burley was honored by the Federal Chief Information Officers Council and the Colloquium on Information Systems Security Education for outstanding efforts toward the development of the federal cyber security workforce; and was nominated for a 2006 Federal 100 award. Dr. Burley holds an M.S. in Public Management and Policy, an M.S. in Organization Science, and a Ph.D. in Organization Science and Information Technology from Carnegie Mellon University (CMU). At CMU, she studied as a Woodrow Wilson Foundation Fellow in Public Policy. She has presented widely at international academic and practice-oriented meetings and has written more than 40 publications. Her forthcoming book on secure software development is due to be published by Addison-Wesley in 2012. She is a successful grant writer; having received research support from public and private funding sources such as NSF, IBM, and SAIC. Dr. Burley lives in Reston, VA and actively contributes to her community through organizations including Jack and Jill of America, Delta Sigma Theta Sorority, Girl Scouts of America, her local PTA, Girls in Engineering, Math and Science (GEMS), and as a member of the national Board of Directors of Goodwill Industries International. More information about Dr. Burley.